The Tennessee Valley Chapter of Wild Ones is an organization for those interested in landscaping with native plants. We present guest speakers in educational programs throughout the year, as well as an annual native plant symposium in early spring; these programs are open to the public. Additional programs for members-only include field trips, regional hikes, visits to members’ gardens (“Landscapes in Progress”), social events and meetings. The Tennessee Valley Chapter was chartered as a Wild Ones chapter in June 2012. The group had existed previously as a special interest group of the Master Gardeners of Hamilton County but needed a more permanent organization home and found the Wild Ones organization with its national infrastructure and superbly complementary mission. WILD ONES: NATIVE PLANTS. NATURAL LANDSCAPES is a national non-profit organization with over 50 chapters in 15 states that promotes environmentally sound landscaping practices to preserve biodiversity through the preservation, restoration and establishment of native plant communities. Reflection Riding Arboretum & Nature Center, an outdoor adventure destination, bridges the gap between hectic, indoor-oriented lifestyles and the land, plants, and wildlife surrounding us. It is a natural haven for plants and animals and an environment where all people can visit and find their place in the natural world. There are 317 acres to explore with hiking trails through landscape and wilderness, the Reflection Riding Loop to drive and cycle, a Blue Way connection through Lookout Creek to paddle, and our Wildlife Wonderland of native animals. We’ve had more than 30 years to develop our resources for teachers and students—creating fun, interactive programs to help meet state and county science standards and benchmarks. Whether hiking up Lookout Mountain or exploring a pond, students return to the classroom with indelible memories. Adults can continue learning and engaging with nature here through our School of the Field and Woods, full of mind-provoking lecture series, health-oriented activities such as yoga and hiking, and continuing education opportunities like our new Certificate of Native Plants program. We encourage you to branch out and discover your world—it’s an amazing, beautiful place. Contact our Volunteer Department for additional information by email at volunteer@reflectionriding.org or call 423-821-1160 ext. 105. 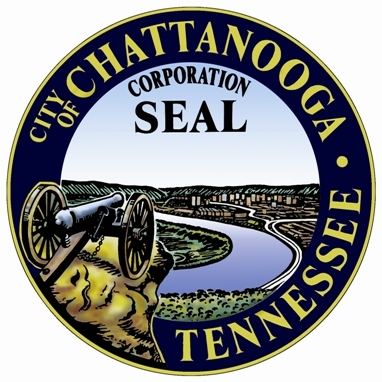 The oldest conservancy organization in the Chattanooga Area, the Chattanooga Audubon Society protects over 500 acres on three sanctuaries across Hamilton County. Audubon Acres in East Brainerd offers more than 5 miles of hiking trails over 130 acres on South Chickamauga Creek along with abundant opportunities for picnicking, wildlife viewing, and photography. Tubing, swimming, canoeing, and kayaking are also permitted during the summer months. The visitor center houses a small gift shop and archeological museum. Also on the property are the historic Spring Frog Cabin, a “Trail of Tears” site and the birthplace of Robert Sparks Walker, and Little Owl Village, which is listed on the National Register of Historic Places. Tools will be provided, but please bring your own if you wish. Please wear long pants and close-toed shoes. Bring gloves if you have them. The Sierra Club is a national, member-supported environmental organization that seeks to influence public policy in Washington D.C., in the state capitals, and locally through public education and grass-roots political action. 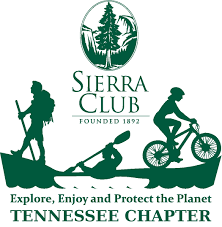 As one of five Groups within the Tennessee Chapter of the Sierra Club, the Cherokee Group is based in Chattanooga and represents Bledsoe, Bradley, Franklin, Hamilton, Marion, Meigs, McMinn, Polk, Rhea and Sequatchie counties in Southeast Tennessee. Our mission is to explore, enjoy and protect the planet for our families and our future. We speak for the trees! Weed Wrangle®, is a one-day, citywide, volunteer effort to help rescue our public parks and green spaces from invasive species through hands-on removal of especially harmful trees, vines and flowering plants, such as honeysuckle, Chinese privet, English ivy, and kudzu. Renaissance Park is part of the downtown Riverparks system and has walking paths through wooded areas that are being invaded by unwanted plants. Supervised by experts in invasive weed management, Weed Wrangle®-volunteers will learn, practice, and begin a habit of maintaining an area free of invasive plants. All tools will be provided. Please wear long pants and close-toed shoes. Bring gloves if you have them. Come learn about and help clear invasive privet along the South Chickamauga Creek Greenway. 9 miles of trail wind through a mix of landscapes, including parks, commercial areas, and residential neighborhoods. We’ll be working in the section closest to the TN Riverwalk, which opened to the public two years ago. Focusing on privet removal will make way for more native trees and plants to thrive along this creek corridor. All tools and instruction will be provided. Please wear long pants and close-toed shoes. Bring gloves if you have them and a water bottle. We will be working on uneven terrain.